Known as limón grande or limón sin semilla, the larger Mexican limes do not have seeds. The majority of Mexican limes produced in Mexico come from the states of Guerrero, Colima, Oaxaca, Michoacán, Jalisco, Tabasco and Veracruz. 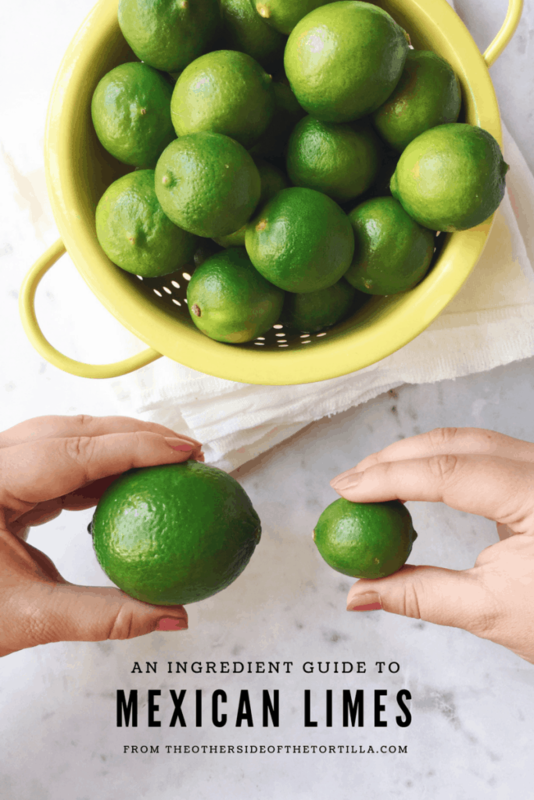 There are a few varieties of Mexican limes that may range in size, and you’ll mostly see them labeled as key limes or West Indian limes in the United States. The large limes with more of an oval shape with a very pronounced pointy end, and thick, dimpled skin are a different variety of lime, called Persian limes or Tahitian limes (scientific name: citrus latifolia). They have a much thicker rind than Mexican limes and are easier to grow and pick for commercial producers because they’re more disease-resistant and the plants don’t have thorns. However, these limes are less acidic than Mexican limes, and have a different bouquet and flavor profile. 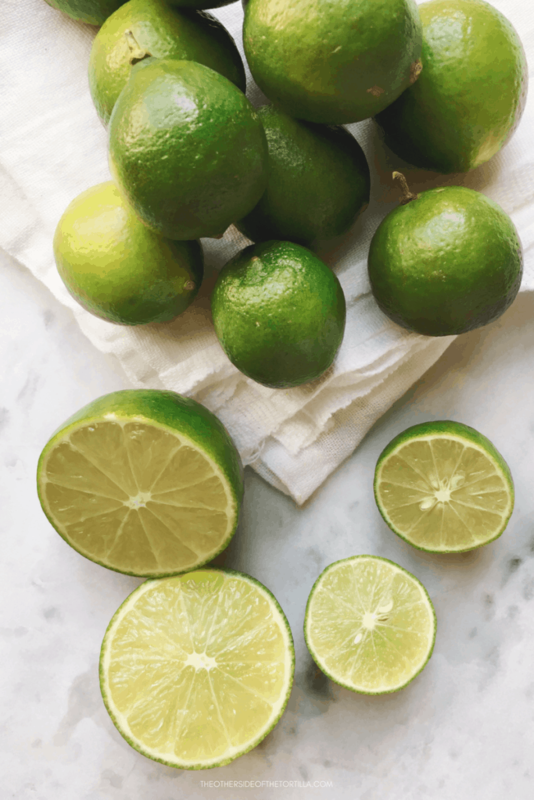 Other citrus fruits used in Mexico and related to the lime include the lima and limón real (which is actually known as a common yellow lemon to Americans). The lima (scientific name: citrus aurantifolia) is round with light green skin before it’s ripened, and green pulp. The lima’s skin turns yellow as it matures, measures about 6 centimeters in diameter, and has a tart and acidic profile. It has a sweeter juice than the lime, and a distinctly different aroma. Sopa de lima is a very popular dish characteristic of the Yucatán; it’s a chicken broth soup with shredded chicken, some vegetables and dressed with lima for its signature taste. Agua de lima is also popular in the Yucatán peninsula, as well as the states of Tabasco and Chiapas. The limón real (citrus medica) is mostly consumed in the Southeast of Mexico and is mostly used in confitures and liquors; the peel is used pastry-making. The skin should be soft, shiny and not too dimpled. 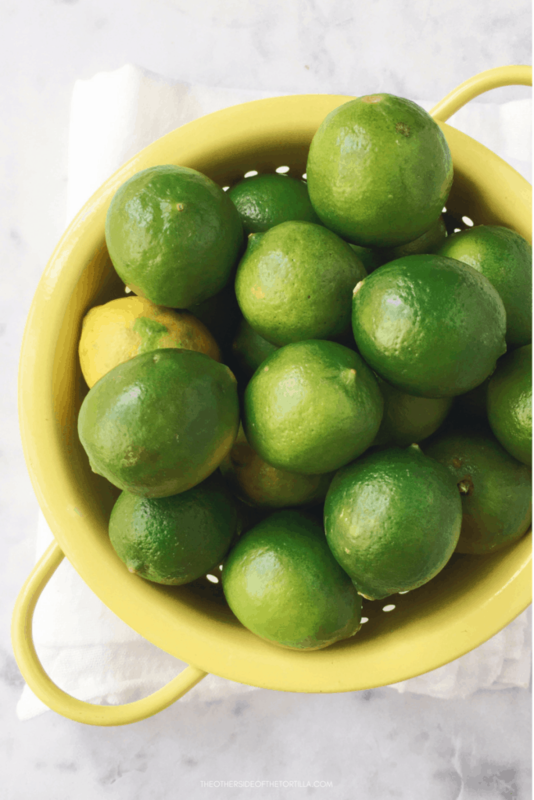 Mexican limes that are heavy for their size will yield the most juice. The color of the skin should be brightly pigmented and green (yellow means they’re more mature and potentially over-ripe). 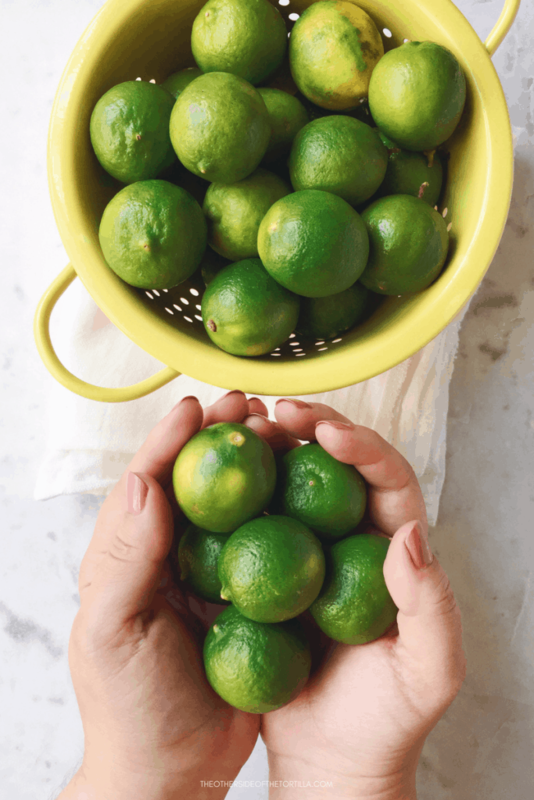 Because the skin is thinner than that of Persian limes, you can gently squeeze the lime and if it gives a bit, it will be juicy. Stay away from fruit with large brown spots. Applying light pressure, roll the lime on a countertop or cutting board before cutting and juicing. This releases more of the juices so that your lime yields more liquid. Juice limes and freeze in an ice cube tray. Transfer frozen juice cubes to an air-tight, freezer-safe storage bag (I use quart-sized freezer-safe Ziploc bags). They’ll stay fresh for about 12-14 weeks.